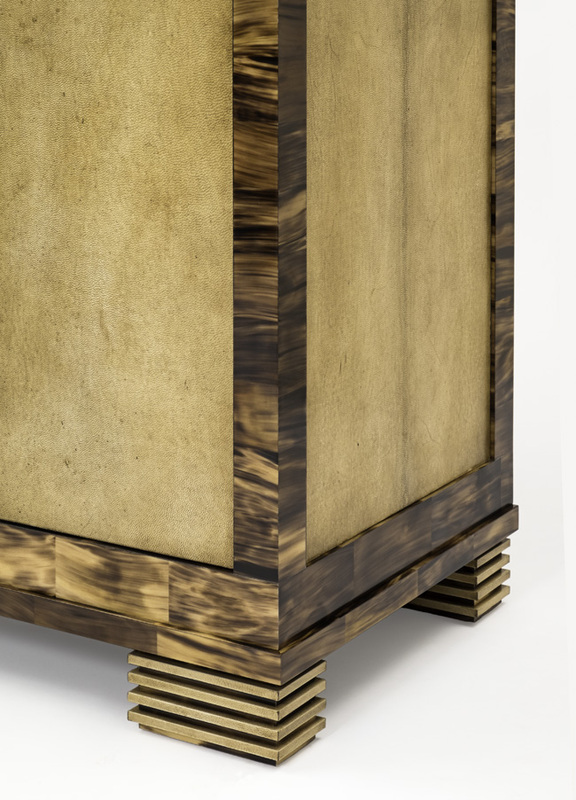 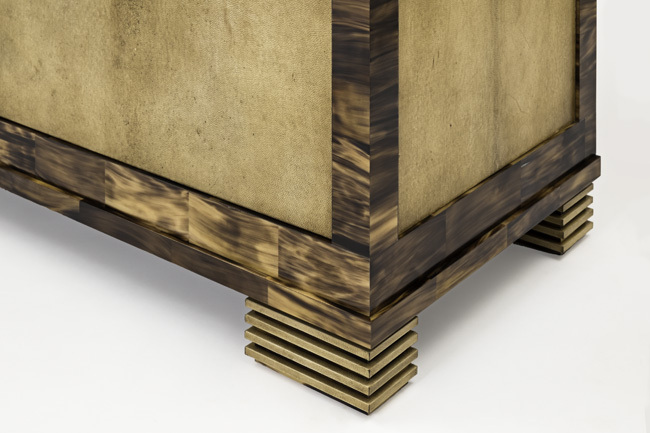 Atelier Viollet recently completed a horn and goat skin parchment sideboard, designed by Jean Paul Viollet. 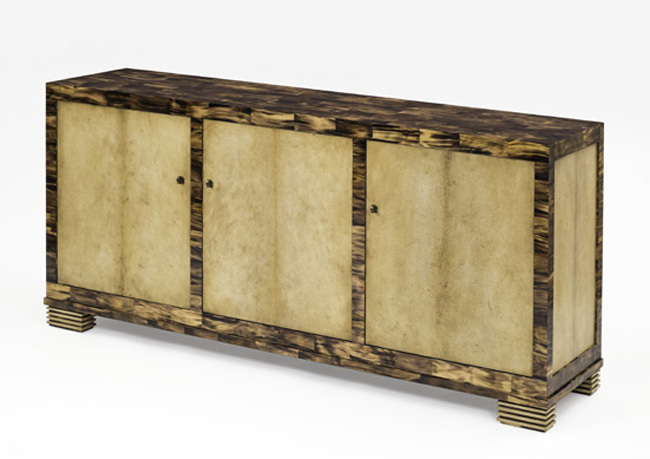 The light tone of the horn and the aged parchment come together to make a sideboard that is harmonious and natural. 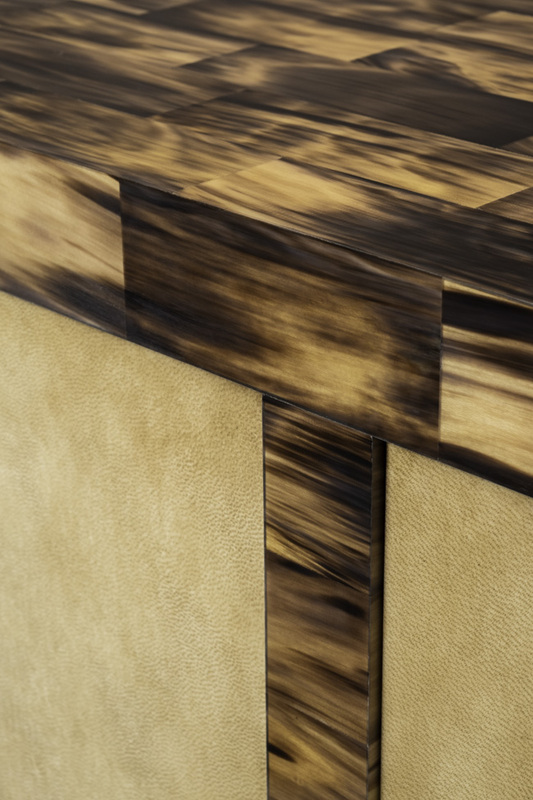 The two materials have been used for many years in countless ways, yet it is without doubtÂ that the combination of the two make for a timeless and exceptional piece.